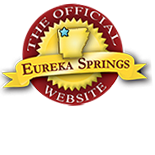 Arkansas Golf Vacation Packages – Best Deals in Eureka Springs! A first class golf vacation might be easier than you think! Holiday Island, Arkansas (minutes away from Eureka Springs) offers an amazing 18 hole champion golf course. Nestled in the Ozark mountains and on the edge of beautiful Table Rock Lake, the Holiday Island Golf course offers a challenging but fun course. This entry was posted on May 3, 2017 by service424 in Basin Park Hotel, Crescent Hotel, Eureka Springs Lodging, Lodging Specials, The Great Outdoors, Things to Do, Weekday Getaway and tagged Basin Park Hotel, Crescent Hotel, golf, golf package, holiday island.